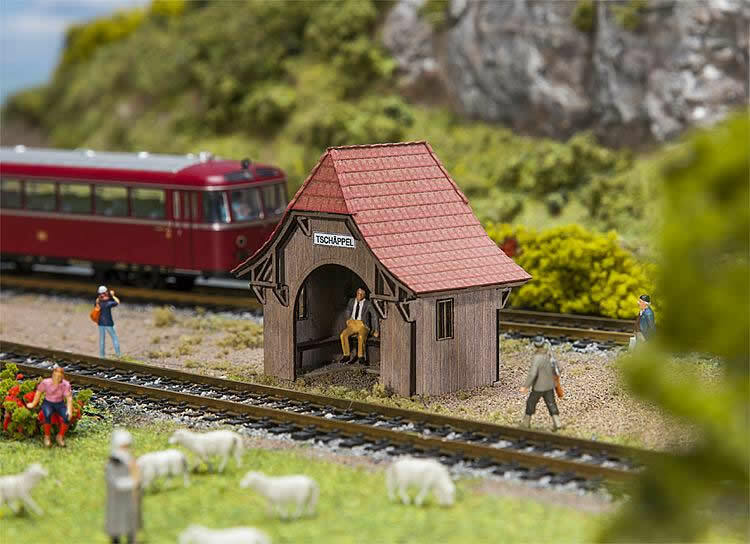 Laser cut model of rural breakpoint "Tschäppel" with seat and curved hipped roof modeled in the Swiss Emmental. Walls and beams of the model are made of real wood. This kit contains: 37 single parts in 4 colors, window foil and 1 construction manual.